North Korea announced Saturday that it had suspended nuclear and longer-range missile tests and shut down its main nuclear test site as the sanctions-hit country seeks to shift its focus to shoring up its moribund economy, state media said, less than a week before a key inter-Korean summit. 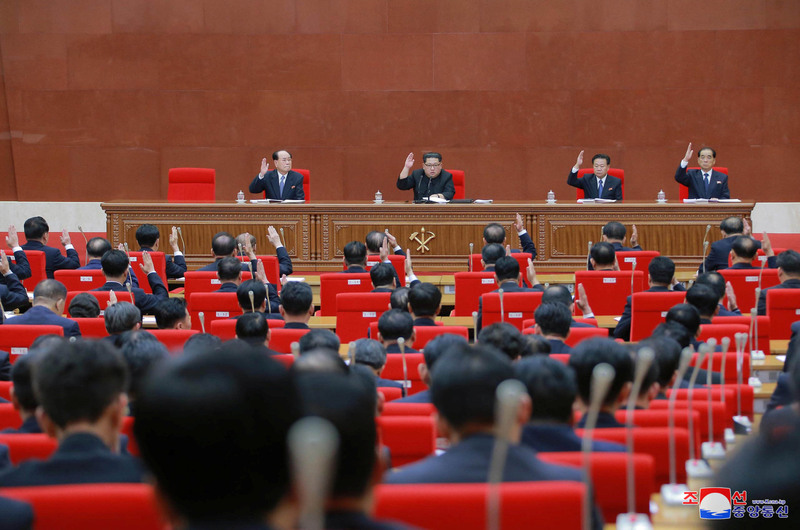 “The mission of the northern nuclear test ground has thus come to an end,” he added at a gathering of the Central Committee of the ruling Workers’ Party, according to the official Korean Central News Agency. The party decided at the meeting that nuclear tests and ICBM launches would cease as of Saturday — the last long-range missile test was in November — and that the North’s main Punggye-ri nuclear test site will be “dismantled to transparently guarantee” the end of testing, the report said. North Korea has conducted all of its six nuclear tests since 2006 at the Punggye-ri site in the country’s northeast. 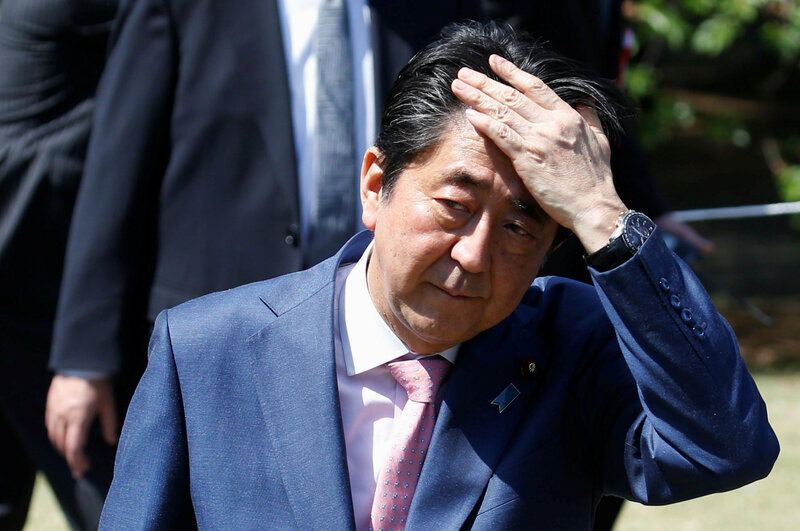 Speaking to reporters in Tokyo, Prime Minister Shinzo Abe was less sanguine. Defense Minister Itsunori Onodera, who was in Washington for a meeting with his U.S. counterpart, said Japan still had concerns despite the pledge. Japan, one of the strongest backers of the U.S.-led “maximum pressure” campaign to push the reclusive state to abandon its nuclear weapons program, will not change its policy of heaping pressure on Pyongyang, he added. Deputy Prime Minister and Finance Minister Taro Aso also voiced skepticism. “(North Korea) has made a lot of promises and we paid money on the condition that they will give up experiment sites, but they continued,” Aso was quoted as telling reporters in Washington, referring to Pyongyang’s nuclear program. Daryl Kimball, executive director of the Arms Control Association in Washington, said Kim’s announcement was a step in the right direction but that more must be done. 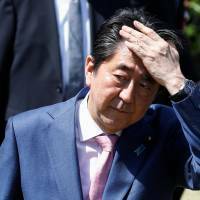 Sheila Smith, a senior fellow for Japan studies at the Council on Foreign Relations, also cautioned against heightened expectations for the meeting. “The contours of negotiation on how to roll back these programs have yet to emerge, but we should not mistake that a moratorium on testing meets our expectations of what eventually needs to be done,” she said. Kim is scheduled to meet South Korean President Moon Jae-in at Freedom House on the southern side of the Demilitarized Zone (DMZ) next Friday, when he will become the first North Korean leader to set foot on South Korean soil. That summit will be just the third ever between the leaders of the two Koreas. South Korea welcomed the North’s announcement Saturday. “North Korea’s decision is meaningful progress for the denuclearization of the Korean Peninsula, which the world wishes for,” the presidential Blue House said in a statement. 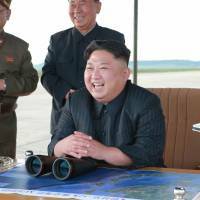 “It will create a very positive environment for the success of the upcoming inter-Korean and North-U.S. summits,” it added. But despite the relatively positive response, Stephen Nagy, a senior associate professor at International Christian University in Tokyo, said that the shift in tactics could be part of a more nefarious push — a concerted effort to fracture the maximum pressure strategy. “He has effectively decreased tensions on the peninsula, reopened relations with China, and moved the diplomatic pendulum away from conflict to dialogue with no costs,” Nagy said of Kim. “Today’s pledges to close nuclear testing facilities and promises to not test missiles cost the regime nothing as they said nothing about denuclearization of their current systems. 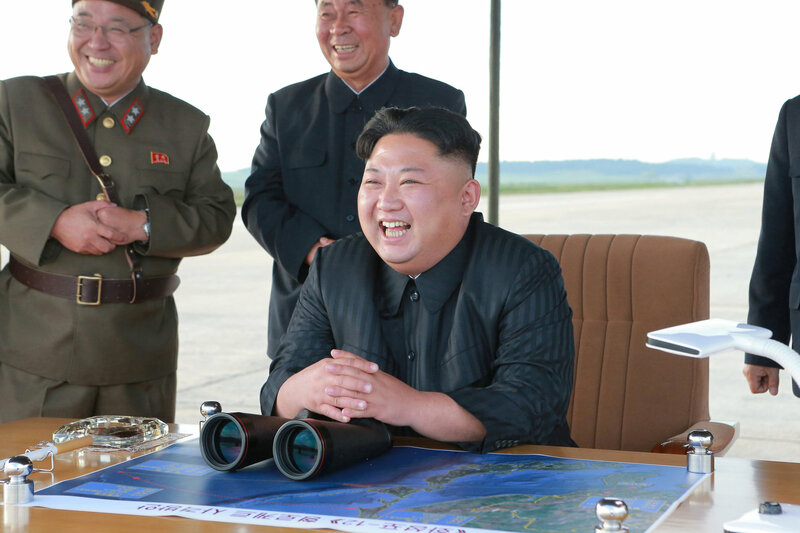 “For a young leader, he has managed Pyongyang’s comparative asymmetric strengths and the stakeholders geopolitical pressure points with astonishing skill,” he added. Still, Moon’s remarks Thursday that Kim isn’t asking for the withdrawal of U.S. troops from the Korean Peninsula as a precondition for abandoning his nuclear weapons offered hope that a divide-and-conquer strategy may not be on his mind. The North has for decades tied its development of nuclear weapons to what it has labeled a “hostile” U.S. policy — a reference to the 28,500 troops on its “doorstep” in South Korea, as well as the roughly 50,000 troops stationed in Japan. Kim’s moves are likely aimed at easing long-standing concerns on the South Korean and U.S. side that the North will never give up its nuclear weapons. And his allusions to the possibility of “dramatic changes” have left the door open to the possibility that he could relinquish his arsenal. Quoting Kim, the KCNA report said the country is shifting its national focus to improving the economy. 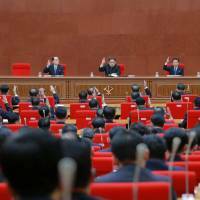 John Delury, an associate professor of international relations at Yonsei University in Seoul, said this shift was not entirely unanticipated. The North Korean leader, Delury said, had since taking power “elevated the relative importance of economic development” to a place it had not seen in years. But “very few people paid attention to the economic part because we are so focused on the nuclear capabilities,” he said. “There’s another part to this,” Delury said. “We’ve been so focused on measuring every missile and counting every nuclear test, that we haven’t seen the whole picture from Kim Jong Un’s perspective. • Shut down Punggye-ri nuclear test site in country’s northeast. • Suspend nuclear and ballistic missile tests. • Join international efforts for disarmament. • Never use nuclear weapons if there is no nuclear threat to the country. • Concentrate on building a powerful socialist economy.